Lennox X6661 - HCC20-28 Healthy Climate HC16 Cabinet 21" x 28.5" x 5"
$74.11 Includes FREE Shipping in Continental U.S.
Lennox Healthy Climate HCC20-28 Healthy Climate True Fit HC20 filter cabinet - X6661. 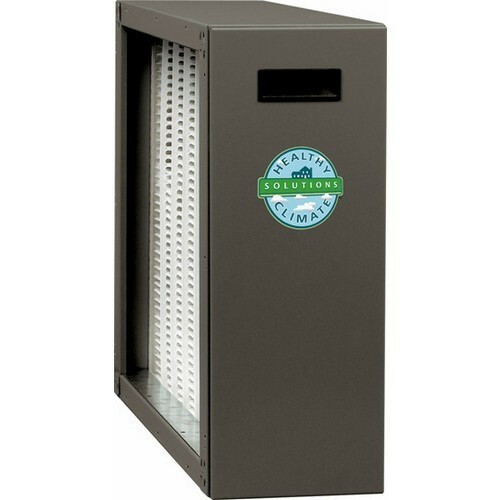 Cabinet Actual Dimensions: 21" x 28.5" x 7"
The Lennox X6661 will provide whole-home filtration for optimal home comfort and air quality, with no additional energy costs. There are also two "expandable" pop up filter options available - Lennox Merv 16 X8307 or the Lennox Merv 10 X8304. You're reviewing: Lennox X6661 - HCC20-28 Healthy Climate HC16 Cabinet 21" x 28.5" x 5"